Join us at Booth# N10441 where Waterline Controls is proud to once agian display our advanced controllers and electronic sensors as an exhibitor this winter in Las Vegas at the 2017 AHR Expo. The International Air-Conditioning, Heating, Refrigerating Exposition (AHR Expo), is the event of the year for the HVACR industry, with over 2000 exhibitors and upwards of 60,000 attendees. 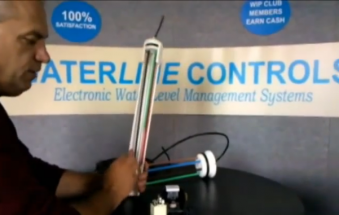 Waterline controls offers the high-end system that saves money. With the commercial building sector looking to drive HVAC growth in sensors and controllers in the near future, according to Contractingbusiness.com’s reporting on a paper by Transparency Market Research, Waterline Controls is leading the way. We will have a working model on display to demonstrate our cooling tower level control system for the HVAC industry, plus sensors and controllers for hands-on examination.